Here your typical BMW window regulator,,,,I’m sure plenty of you guys have seen or heard that grinding or clicking noise from the window when it stop working,,,,it always stops working when the window is in the down position,,,,this is a regulator from the rear window,,,,as a BMW tech we don’t see the window regulators going bad that much anymore,,,,,,it’s amazing the motor doesn’t get damaged when the cable wraps around the window motor gear.,,,,,when replacing the rear window regulator,,,,you usually can keep the window glass in the car,,,,not like the front window regulator,,,,for the front doors you have to remove the door glass. 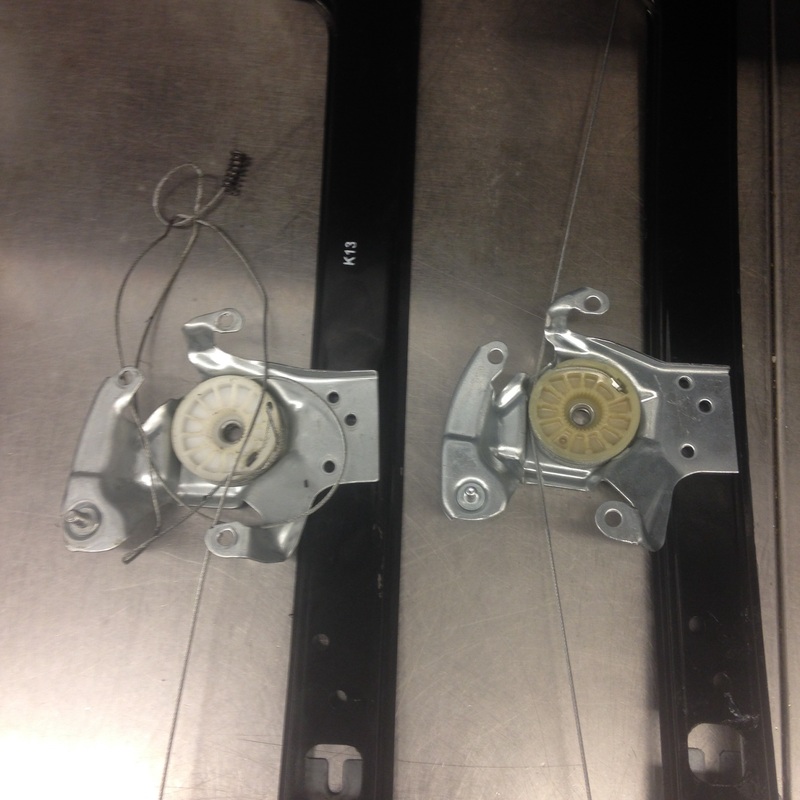 This entry was posted in Uncategorized and tagged window regulator. Bookmark the permalink.